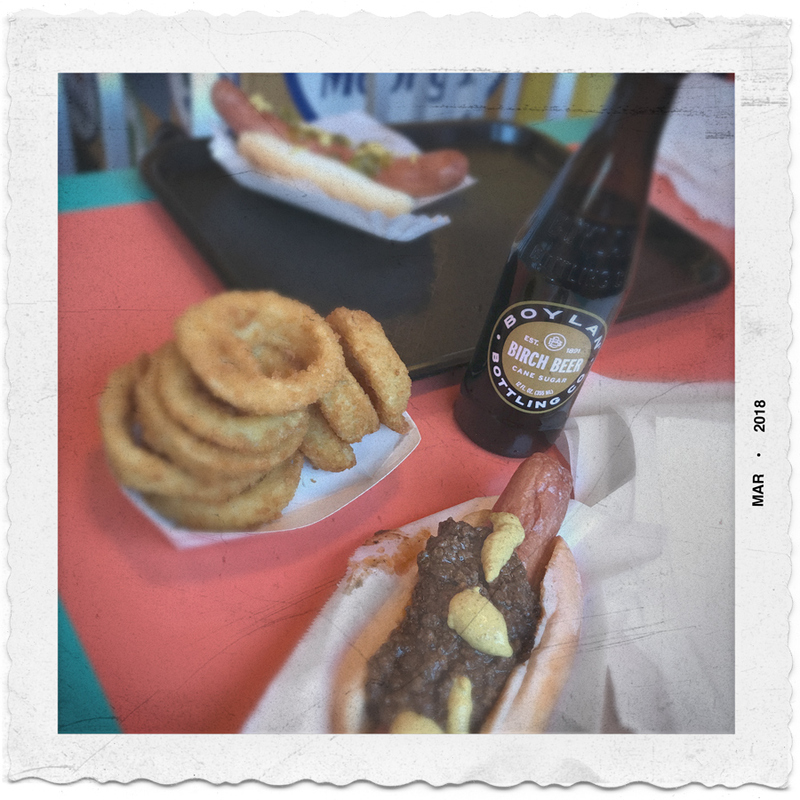 Mentioned in yesterday's entry was my quest for a well above average hot dog. That mission was successfully accomplished thanks to our host Rich who co-piloted us to CALLAHAN'S. The hot dogs (deep fried) were excellent - I had mine covered with chili. The hot dog quest was instigated by a conversation about special hot dogs and eventually about the so-called "stands" which sold them. The original "stands" were wood construction eateries, most of which begin operating in the '50s. In my former home town of Rochester, NY there are a number of individually owned and operated number of "stands", some with satellite locations. And, FYI, these original stands sold hots, burgers, italian sausage, fries, rings, shakes, soda and the like. All of that written, the only disappointment of the hot dog quest was that CALLAHAN's was not in an original-type structure (even though it started out in one). 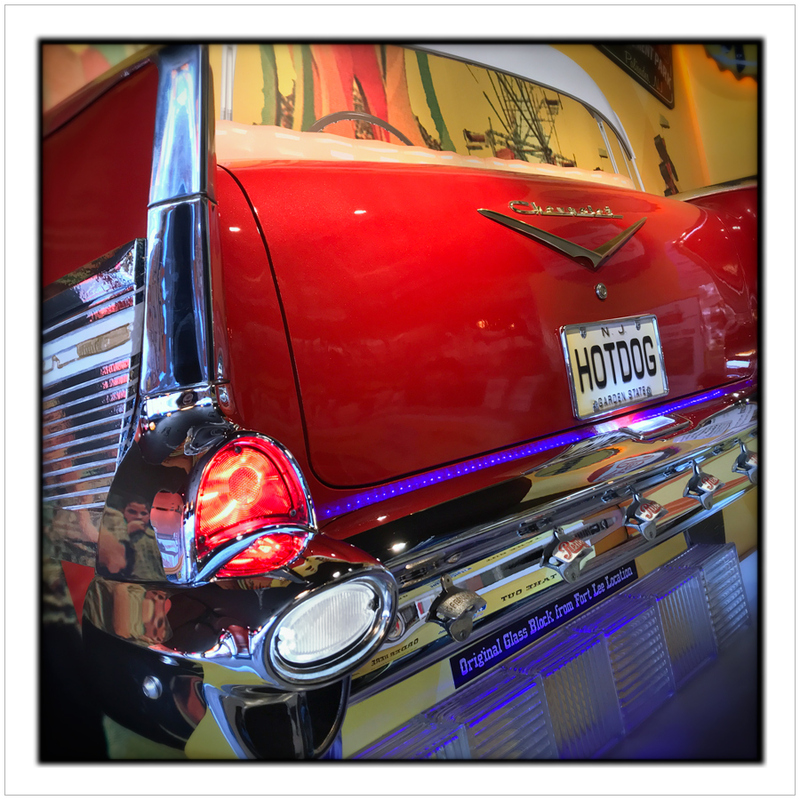 I, for one, prefer and like my hot dogs served and consumed in a funky patinaed '50s era stand which makes it a "genuine" experience. 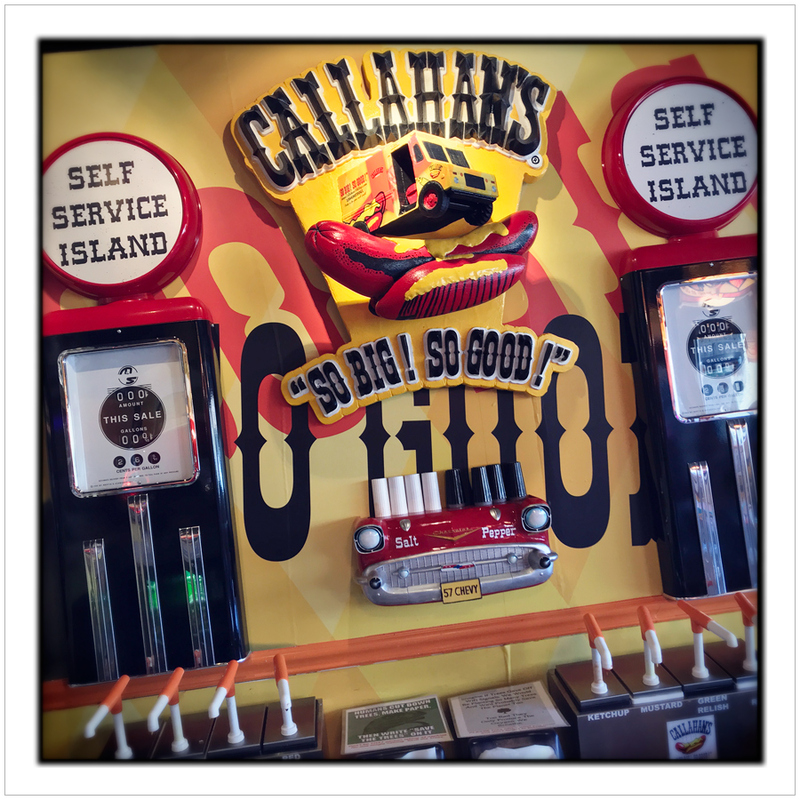 CALLAHAN'S, on the other hand, has created an ersatz Disneyland-esque caricature of a hot dog stand. To my eye and sensibilities, it all seems to be rather "fake". Sorta like it's a tarted-up - there is nothing subtle about it - decor exercise meant to be entertaining rather than authentic. Then again, given the fact that CALLAHAN'S is located in the land of wretched excess (nothing exceeds like excess) gigantic over-the-top ersatz McMansions, they have hit their target clientele smack-dab in the center of the bullseye.